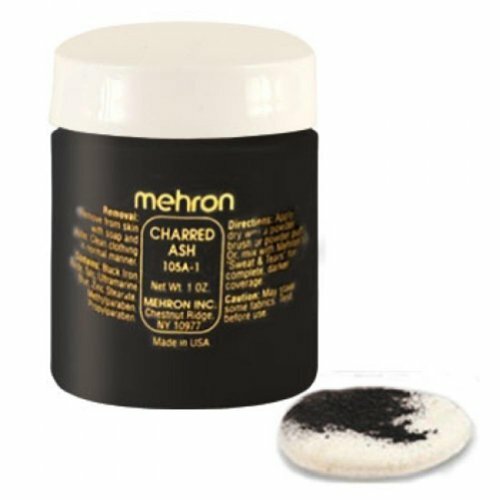 Mehron Charred Ash Special Makeup Effects Powder is formulated to create a realistic effect of being covered with sooty ash. Charred Ash Powder has an ultrafine, loose consistency that can easily be applied for just the right touch to enhance a character’s makeup. Mehron Charred Ash Powder has the look and feel of ash. 0.75 ounce bottle has shaker top to let you use small amounts. 0.75 ounce size.